This is an information page collection of what I have repaired on my Crossfire. You should not do any repair on your car if you don't have enough experience and knowledge! You use this information on your own risk! Don't blame me if something goes wrong. If you have a Mercedes SLK R170 with a 320 engine and not AMG version it's almost exact the same. My car is not the SRT6 version, that one has another alternator, it's the pulley that's different and maybe something else. You have to work with the electric parts when doing a replacement of the alternator. 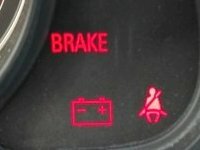 Disconnect the battery! 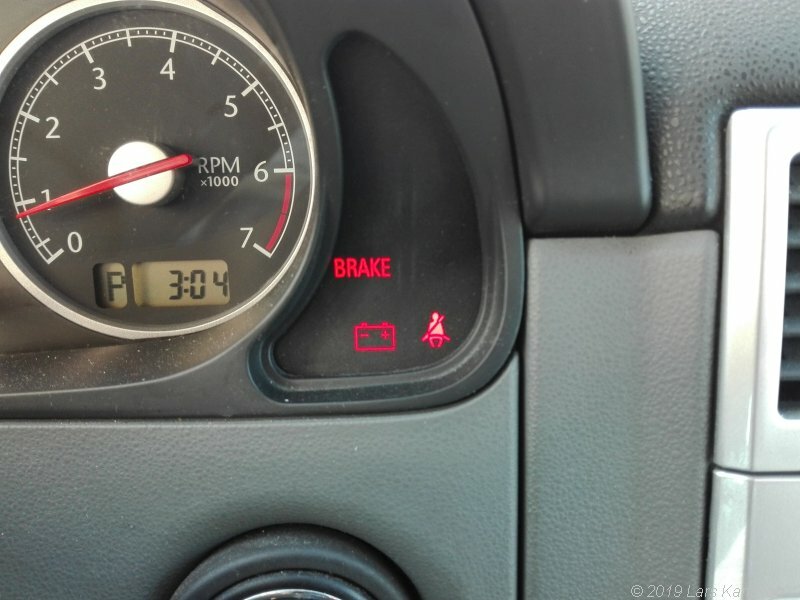 When disconnecting the battery the alarm and radio will be reset, be sure to have any codes that's needed! The day after I took the car to the annual safety test I wanted to take nice car trip to somewhere. I started the engine and there it was a new light, the battery alarm, bad day? 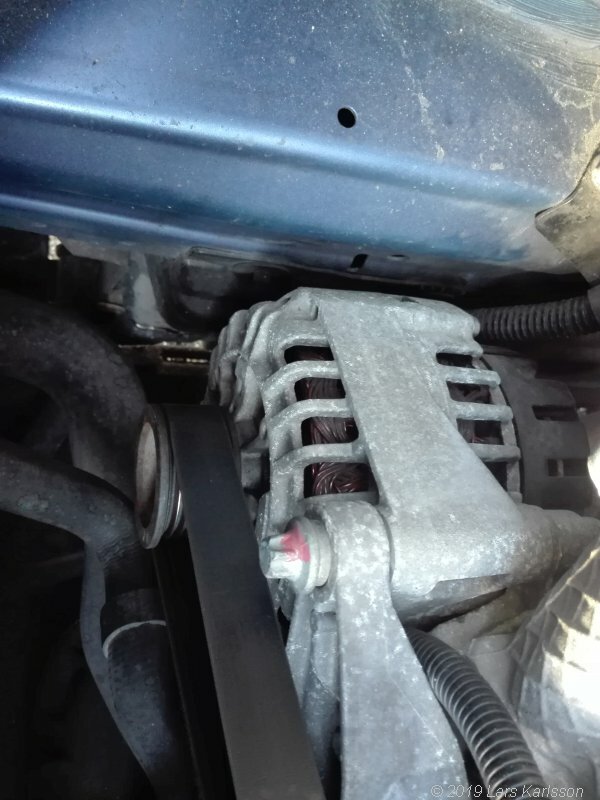 I googled on this kind of problem and it looks that is common that the brushes are bad inside the alternator or some corrosion problem. It could also be bad cables, corrosion problems, bad ground connection etc. I started to measure the voltage on the battery, had the engine idle. I could read 12 volts only. To low, when engine running, especially at higher rpm (1500), it should give about 14.0 to 14.5 volts. 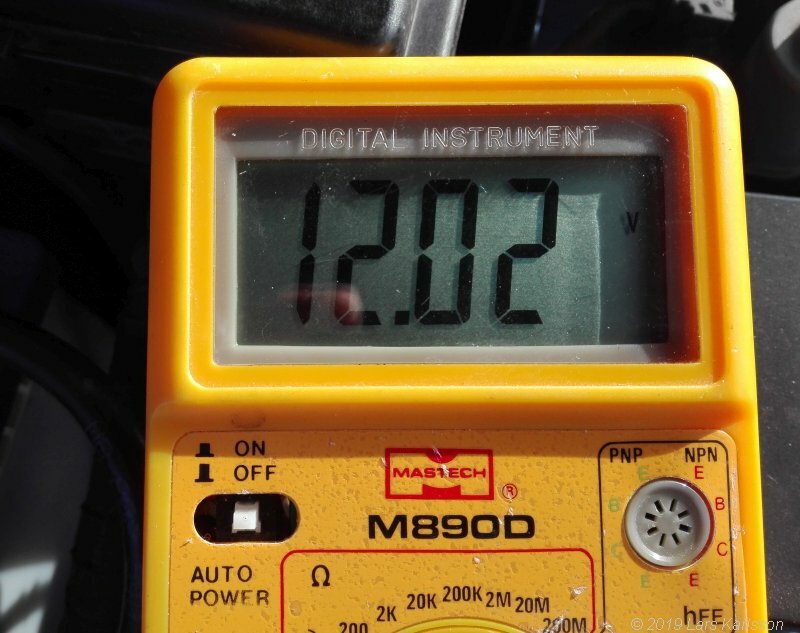 Set the multi meter to 20 volts range. This alternator has as common today the voltage regulator built into the alternator. The regulator doesn't cost very much money, but on the other hand even the complete alternator isn't very expensive. By chance I ordered a new alternator from Germany.